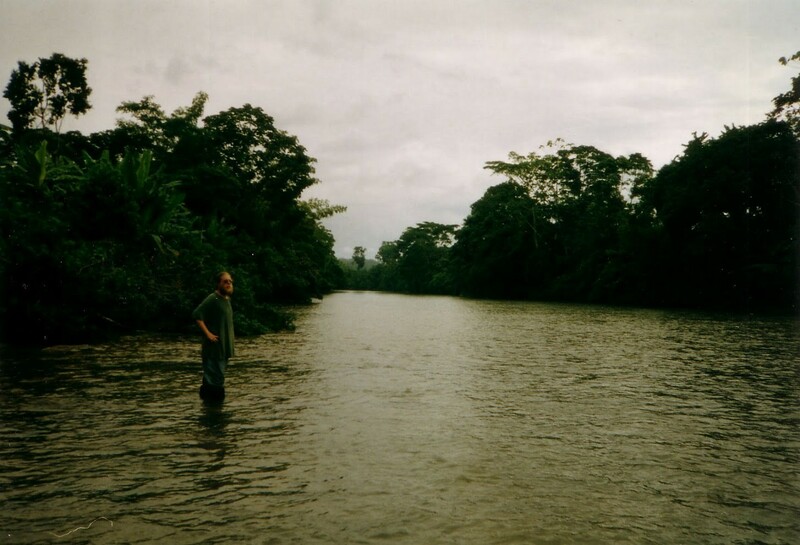 I got lost in the Ecuadorian rainforest in spring of 1997. Our group was staying at the Jatun Sacha biological research station in the Amazon and taking a side trip to a Quechua village nearby. It was a 3 hour hike from the station to the village and we were being chaperoned by a woman who worked for the Peace Corps in Ecuador. Her Peace Corp salary was almost non-existent so she took side-gigs babysitting college students to keep from starving. We started off in a close group as we hiked down a dirt road that got narrower and narrower the further into the jungle we went. Brian Gurski and I were out in front and our guide was bringing up the rear. After a while, we were far enough ahead that we couldn’t see the others but we weren’t worried. The path only seemed to go in one direction. It was raining and the trail kept getting smaller and muddier. 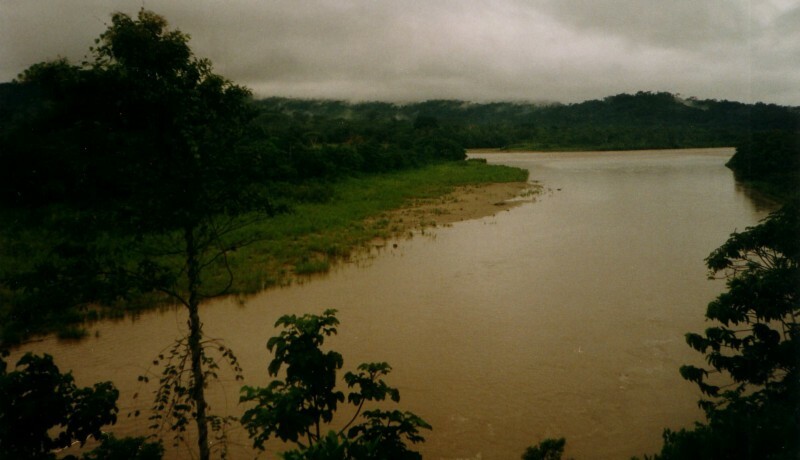 We scrambled up a small cliff with a stream running down the middle of it and looked out over endless rainforest. Nothing but green for miles. We followed the path down the other side only to find that it ended at a swiftly running river. It was then that I realized we hadn’t seen anyone else from the group in close to an hour. There was a small hut nearby so we wandered over to see if anyone was there. The main living area was raised up on stilts so the house wouldn’t flood with the river. There was a small cooking area underneath with a fire going and a small boy, a toddler, and a tiny baby in a wooden basinette. The boy was Quechua but had been learning Spanish at church school. We chatted with him for a while and found that his parents were off at work and it was his job to take care of the babies while they were gone. He was 7 years old. He was happy to talk to us but his little sister hid behind him, peering out with wide eyes. The baby slept. He said he thought the village we were trying to find was on the other side of the river but he wasn’t sure. Brian and I both hunted around trying to see if it was possible to cross but it seemed too dangerous. We were going to have to turn around and go back the way we had come. We were just gathering up our gear when the Peace Corps woman came hiking out of the woods. She was not pleased with us. We had hiked so far ahead that we’d missed the turn that would’ve taken us to a bridge to our village. After many rounds of apologies to the Peace Corps woman, we said goodbye to our little friend and followed her back into the jungle. We were only a couple of miles downstream from where we needed to be and our guide seemed to have forgiven us by the time we arrived. I don’t know how much that poor woman got paid to take us in and out of the jungle but I’m sure it wasn’t enough.